It has been just over a month since my last update on Rick … so let’s get right to it. In April, Rick had lots of scans and the report was awesome. 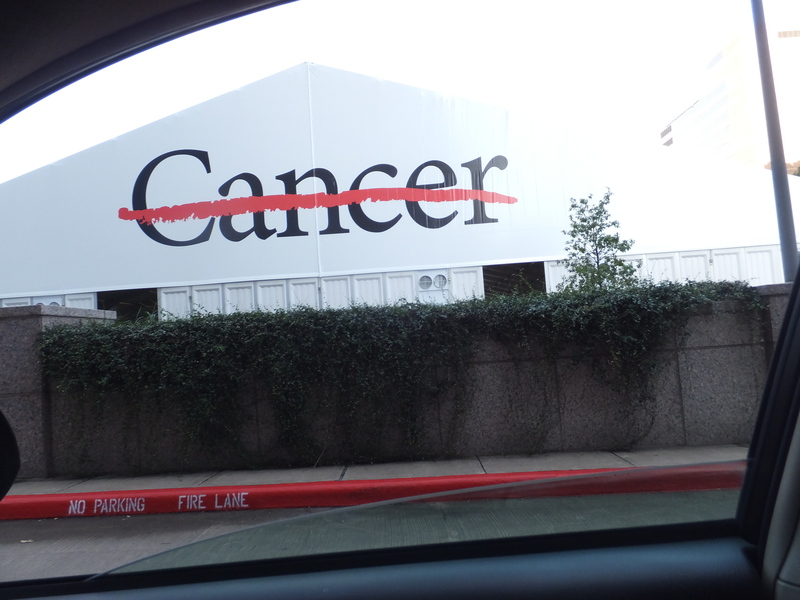 Everything is stable … cancer areas are still very small! It appears the immunotherapy which was stopped months before is still working. Can I get an amen? Unfortunately, Rick’s lipase was back up … darn lipase. This little blip on the radar screen was probably due to the chemo pill and the immunotherapy battling in his system. So Dr. Campbell prescribed a month of steroids to tame the dragon! We also learned that Rick would now be on “Active Surveillance” for the foreseeable future. That means no chemo pill. Let’s just carefully watch the dude! Our schedule at MDA would also change to blood work and doctor visit every three weeks with lots of scans every two months. We could live with that. It would kinda be like a vacation from what we have been doing! I’m not gonna lie … a month of steroids was not the vacation part. Just ask anyone that has been on steroids. Sleeping is difficult along with a few other unpleasant side effects. Then in May, on our 45th wedding anniversary, we visited Dr. Campbell for Rick’s three-week follow-up. Lipase was down drastically and oh so close to normal. It was also Dr. Campbell’s birthday as noted by the party hat he wore. Wish I had got a picture! After our visit to MDA, Rick and I celebrated with a nice lunch near downtown. We had lots of celebrate. We almost didn’t make it to 45 years. Soooo happy for y’all!! Nothing like really good news! Hey Dixie-so happy to continue hearing about “the Cancer Journey” and the progress being made! Amen for sure eh! While you may not realize it, your positive attitude, along with Rick’s and your families has also had a positive impact on the journey. Our love to you both. (un día a la vez! Thanks Ev! Love to you and Joan!! !